Cook gnocchi per package directions. Drain. Return to pan. Add 1 tbsp buttter. 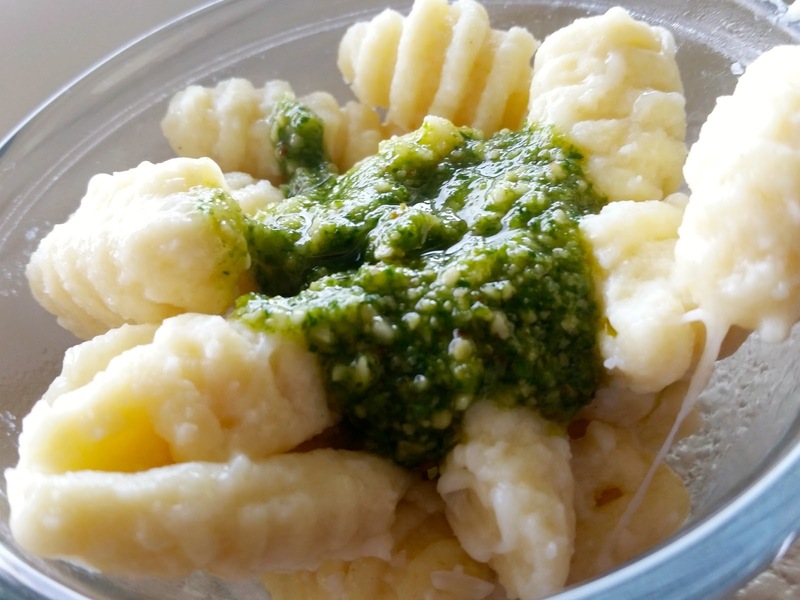 Serve with pesto, 1 tbsp per serving, to taste.